Master Instruction takes you to a new level, The Master Level. 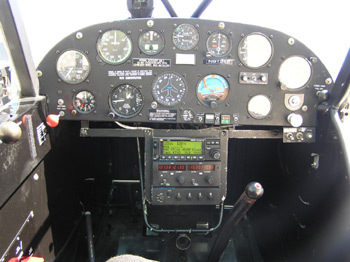 Master Instruction is at the crux of flight instruction. Master Instruction believes that certified flight instructors are professionals who demand excellence, both of themselves and of their mentors. We believe that professional aviation educators seek to learn the latest information about techniques, equipment, and teaching methods. Master Instruction brings together the top performers in the field in order to provide the best learning experience for you, the CFI. Check us out for your next FIRC! You can continue to train the same old way or you can go to the Master Level. ARE YOU TIRED OF THE SAME OLD FIRC EVERY TWO YEARS? WOULD YOU RATHER LEARN SOMETHING NEW? WOULD YOU RATHER LEARN FROM INSTRUCTORS AND MATERIAL THAT IS AT THE CRUX OF FLIGHT INSTRUCTION NOW? DO YOU FEEL DISAPPOINTED EACH TIME A FIRC PARROTS THE SAME STUFF YOU PROVED YOU UNDERSTOOD BACK WHEN YOU TOOK THE CFI PRACTICAL TEST? Master Instruction conducts Flight Instructor Refresher Courses and group or individual Pilot Proficiency Courses in North America and in Western Europe. For more information you can sign-up for our Newsletter or contact us for further information. We look forward to flying and talking with you! We fly with you from your airport.